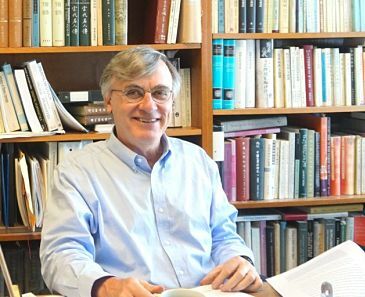 An Introduction to Chinese Poetry: From the Canon of Poetry to the Lyrics of the Song Dynasty, by UCI professor of East Asian studies Michael A. Fuller, has won the Association for Asian Studies' Franklin R. Buchanan Prize for high-quality curriculum materials on Asia. 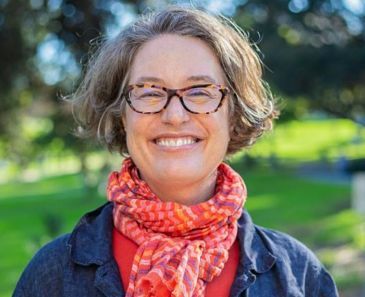 Margherita Long, Associate Professor of East Asian Studies, has earned the distinguished award for 2019-2020. She will use the support for her book project, Care, Affect, Crackup: Literature & Activism After Fukushima. Enroll in an East Asian Studies course today! Presented by Chinese Instructors Ying Petersen and Jessica Chen. Tea is part of every Chinese family's daily life. 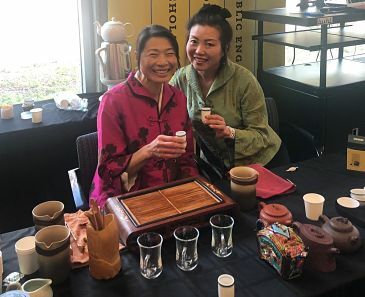 Although the Chinese tea ceremony varies from location to location, and can even vary for differing types of tea, most ceremonies tend to follow a similar pattern involving the same brewing techniques. Many of the steps are simply a way of enjoying the full flavor and aroma. 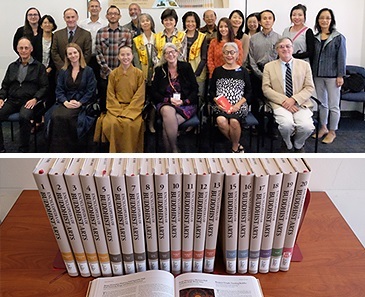 The Hsi Lai Temple in Hacienda Heights donated a beautiful twenty-volume Encyclopedia of Buddhist Arts to the Langson library. A reception was held on 10/17/2018 at UCI to celebrate the installation of the encyclopedia. 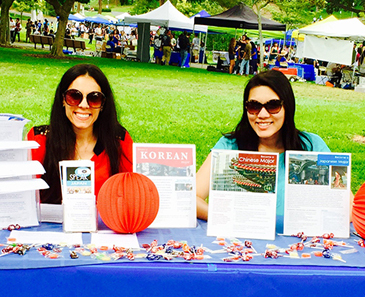 The Korean Language Program has been hosting the Annual Korean Essay Contest for 10 years. This event is open to all students who are currently enrolled in a Chinese language class at UCI campus. The event aims to promote interest in the study of Chinese language and culture through practice and appreciation of the art of Chinese calligraphy. The Department of East Asian Studies at UCI brings both theoretical sophistication and scholarly rigor to the study of the literatures and cultures of East Asia. The department focuses on China, Korea, and Japan but also stresses the larger regional and global dynamics of transformation in which these cultures participate.